Whether you are a beginner of any age just learning to ride, or you are an advanced rider wanting to refine your skills, lessons of all levels can be catered for in our all-weather outdoor school. If you dream of riding on miles of beautiful, golden beach then Equus is the place to come and ride. It is an experience you will never forget but definitely want to repeat. With miles of trails to explore through the beautiful Roseisle Forest riders of every ability can experience some of the best forest hacks in Moray with access right from the Equus yard. 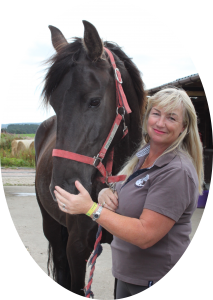 Since 2008, Equus Riding Centre has been providing riding lessons to people from all over Moray. We pride ourself on being welcoming and friendly to everyone, whether regular customers or holiday ‘drop ins’. Equus definitely has a family feel that we are sure you will love. We have a wide selection of horses and ponies so we can pick the right one to either get you started or develop your skills. They all have their own unique characters and you will soon have your favourite! Equus is very conveniently located between Elgin and Forres, just a 10 minute drive from either. Come along and visit us soon. Hi I’m Lisa, I’ll be the slightly frazzled looking individual mooching about the yard looking distracted and ever so slightly stressed! My love for ponies began at a very young age, and frustratingly for all involved my passion never left me. After leaving school I worked for several years in a few racing yards (hence there is always an x-racer at Equus). Working for racing, hunt and event yards I’ve covered most disciplines and met most characters. Ultimately my passion lies in Rehabilitation and Natural Horsemanship, there is such reward in seeing those barriers come down within a horse or pony. I feel having such a variety of yard experience allows me to see the value in horse eduction and learning, which is why the Equus saddle clubs are so important and were borne out of my want for children to not just ride, but to learn and be a part of all aspects of pony care. See you down the round pen folks!! Imagine riding through the Forest on a crisp winter’s day; being on the beach watching a summer sunset from the back of your horse; or feeling exhilarated getting on your horse for the next step in learning to ride. Equus Riding Centre has horses of all sizes and capabilities. Complete beginners, both adults and children, are catered for as well as the more proficient riders wishing to improve their skills in jumping, dressage or general riding. The full size all weather arena and round pen ensures a good educational environment. 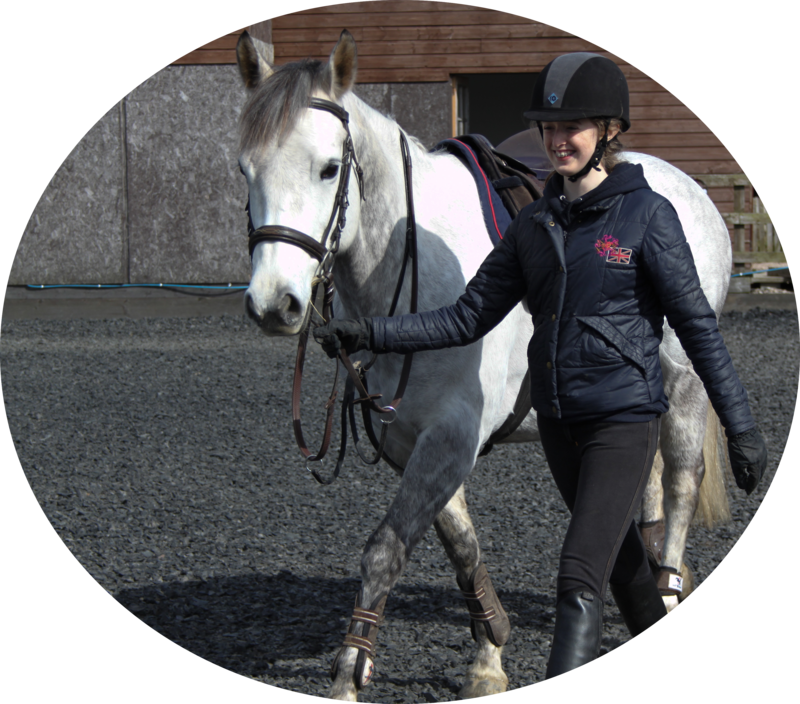 Professional instruction to all standards of riding lessons, from novice to advanced level. Pony and Saddle Clubs give children a wealth of experience in keeping, riding and caring for a horse, whilst having fun in a safe environment. School and youth groups provide the perfect outdoor activity to open their minds to new ideas. Plus pony parties for children and their families are a very popular Birthday gift. Equus has fully qualified riding instructors who can cater for all riding standards and help you progress at a pace that suits you. We also have a fantastic group of teenage assistants who are key to the success of the Saddle and Pony Clubs. They are all at various stages of their own horse riding development and some will even go on to be instructors of the future. They are definitely all ‘horse mad’ and fantastic with the young children! Amazing day today, first time on a horse, made to feel so welcome, at ease, lots of time on the horse getting the fundamentals down. Today your team were just superb. You were so confident with our kiddies and because of this they were confident too…today you guys just showed that you wanted the kids to have a great experience and feel comfortable and you all did it in abundance. Thank you to you and your whole team. We had a brilliant day. I was really impressed with how much riding the pupils got, the quality of the tuition and the standard of the ponies and horses they got to work with. Very pleasant hack, well-mannered horses, our leader checked continuously with us to ensure we were ok. We loved it!